Robert Service is one of Canada’s best-known poets, inspired by the Yukon to pen the ballads that would catapult him to worldwide literary fame. Here’s how he ditched his life as a Scottish banker, roamed as a penniless wanderer and became an accomplished author and pride of the north. Born on January 16, 1874 in Preston, England to a Scottish father and a mother half her husband’s age, Robert was the eldest of ten children. At a young age, Robert went to live with his grandfather and four unmarried aunts, maintaining little contact with his parents during this time. He seemed destined for a life in literature, staging his first recital on his sixth birthday, blowing his family away with a rhyming prayer. Robert rejoined his parents at the age of 9 in Hillhead, just outside of Glasgow. A free spirit, he struggled with authority at school and was expelled as a young teen. He landed a job at a bank as an apprentice, earning 20 pounds a year. He’d begun to read profusely at this time and became enthralled with poetry. 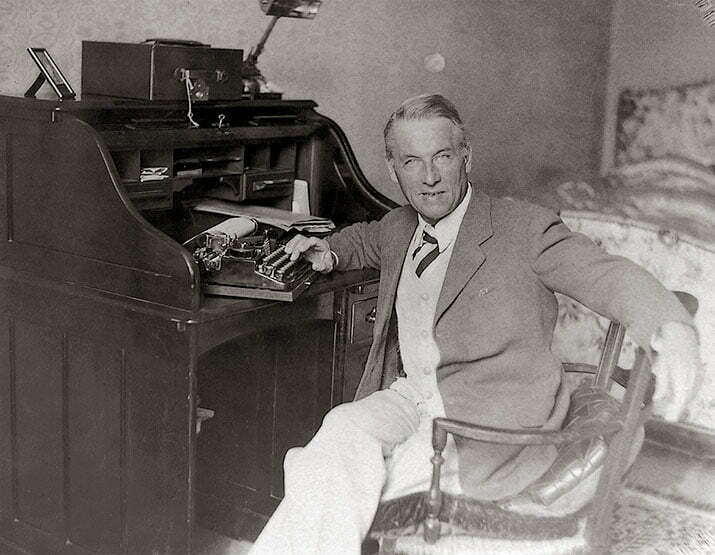 He also discovered travel writing, devouring books by wandering authors like Stevenson, Kipling and Thoreau. These works spoke to his inner vagabond and eventually drove him to forever change the course of his life – it wasn’t long before he too would hit the road, crossing the Atlantic to pursue the life of a cattle rancher in the Canadian prairies. Robert reached Vancouver in 1896, after docking in Montreal and venturing east across Canada by train. “Here I am, a traveller – I who was destined to be a stay-at-home. By my own will I have achieved this,” he wrote upon his arrival. It was here he would eventually launch his writing career, but not before seeking some more adventure. With no more than $40 to his name, Robert headed to California, reveling in the romance of San Francisco while meandering through its streets. He continued south to Los Angeles where he found work as a labourer, digging a mountain tunnel. Directionless, he drifted from one job to the next, filling in as a saloon dishwasher, orange picker, sandwich board worker, even as a handyman in a brothel. Robert wandered further to the Southwest, living the tumbleweed lifestyle with a packsack and guitar in hand, barely getting by. Once the the hobo lifestyle began to lose its luster, he returned to Vancouver. He took a job as a storekeeper at a General Store. It was here Robert met a newspaper editor who convinced him to publish a ballad called The Christmas Card in the Victoria Colonist. It would be the first of many ballads concerning the Boer War. In 1903, Robert began work as clerk with the Canadian Imperial Bank of Commerce. A year and a half later, the bank transferred him to Whitehorse. Winter already in the air, he boarded a steamer headed for Skagway, Alaska. The height of the Gold Rush now a fresh memory, Robert arrived to find a struggling town but he settled in quickly, throwing himself into the social scene, producing a play and reciting the ballads he’d written. He’d later write those years in Whitehorse were the happiest of his life. One night, while working late on a ballad at the bank, the ledger keeper mistook him for a burglar and shot at him (luckily, he was a poor shot and missed). Scary yes, but great fodder for “The Shooting of Dan McGrew” – pouring out verses after the incident. Robert wrote tirelessly, drawing inspiration from the people he met, the stories he heard and the northern landscape. In 1906, he collected his poems into a bundle he titled “Songs of a Sourdough” and sent the manuscript to Toronto to be published, along with $100. It wasn’t long until the book took off – the first Canadian poetry bundle to do so. It was soon published in the U.S. and the United Kingdom. Robert had become a worldwide success and Whitehorse celebrity. 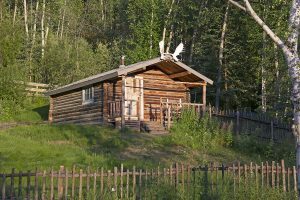 Upon moving to Dawson City, Robert started work on his follow-up volume and would wake up at midnight to write until 3 a.m., a pot of black tea by his side. “Ballad of a Cheechako” encompassed 21 new ballads. He also started working on his first novel, “The Trail of the Ninety-Eight” – depicting the Klondike Gold rush. 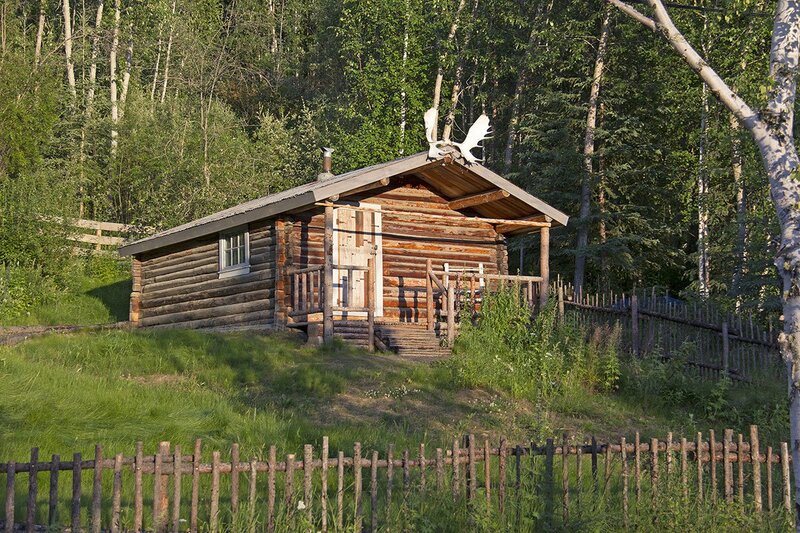 To do so, he moved into a rustic log cabin he’d call home for the next two years. In 1912, Robert left Yukon for good on the last steamer of the season. After leaving the north, Robert’s career turned a corner. The Toronto Star came knocking with the offer to cover the Balkan War as the newspaper’s war correspondent. Robert left for Europe. While in Paris, he met Germaine – the woman he’d marry a few months later. The couple settled in Brittany and Robert continued to write, including popular travel stories for the Star. Life was good, but the world was about to change. WWI broke out. Robert resumed work as war correspondent. To get closer to the front lines, he became an ambulance driver, much like his literary contemporaries Hemingway and E.E. Cummings. During this time, Robert also became the father of twin girls, Doris and Iris. But not much later, fate dealt the young family a devastating blow. Doris fell ill with scarlet fever and died at the age of 13 months. In 1921, Hollywood expressed interested in his works and Robert and his family relocated to California. Still bitten by the travel bug, Robert divided his time between North America and Europe. He also headed to Russia under the communist regime of Stalin. The trip inspired him to write yet another novel and he returned to Russia in the volatile months leading up to WWII. Robert never stopped writing. Living in Monte Carlo with his family in his final years, Robert fell ill with influenza, confining him to bed for weeks. On September 11, 1958, he felt well enough to go for a morning stroll and eat a light lunch. He died that afternoon, his wife by his side. He was 89. Germaine, who stayed in Monte Carlo for another 30 years, died at age 102. At the time of Robert’s death, his first book of verse had sold 3 million copies worldwide. 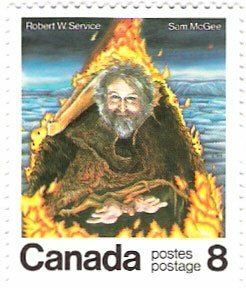 Service was honoured with a Canadian postage stamp in 1976.